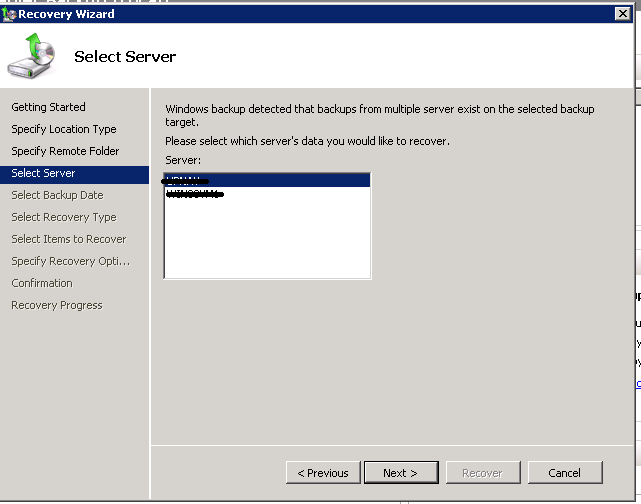 In this Tutorial we will be using Windows Server 2008 server, the procedure that you are about to read will be similar to Windows Server 2003 R2 and Windows Server 2012. 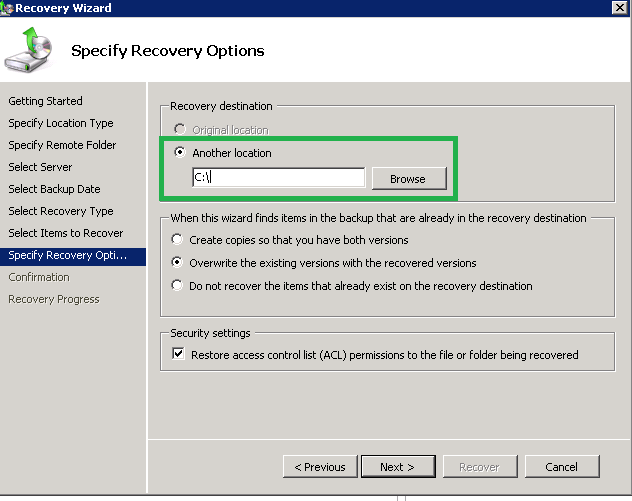 Open up the Group Policy Management Editor and locate the Organizational Unit (OU), expand User Configuration, expand Windows Settings, expand Internet Explorer then click on Security and double click Security Zones and Content Ratings. 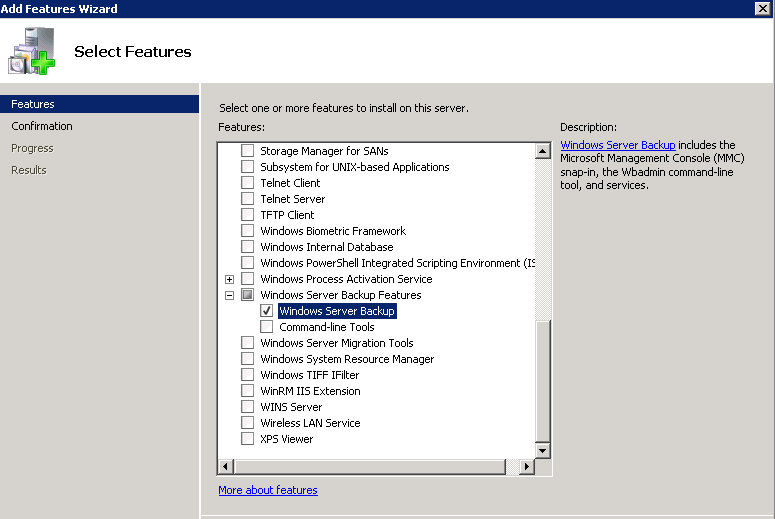 On the Security and Privacy Settings properties, under Content Ratings select Import the current Content Ratings settings, then click on Modify Settings then click OK.
On Content Advisor properties, click on Approved Sites tab, in Allow this website you may select Always, to Allow a website then click OK.
or choose Never to block a website then click OK.
To begin…..Make sure that Windows Server Backup server feature is installed. 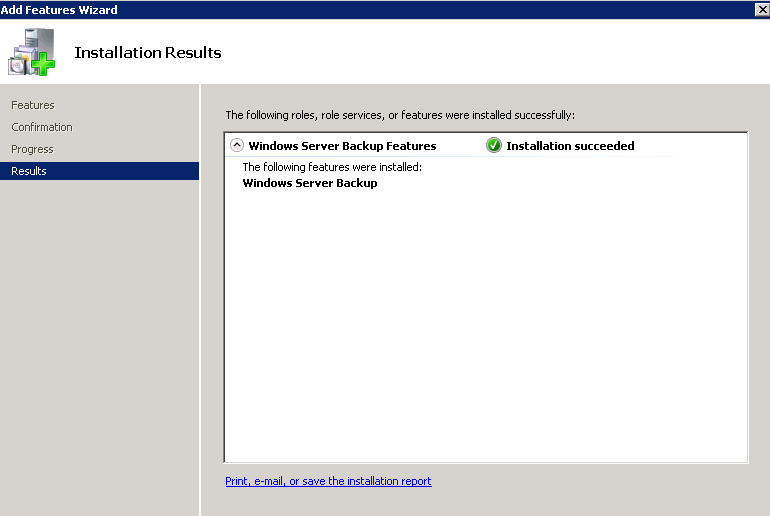 You may confirm this by going into the Server Manager and locate Features. 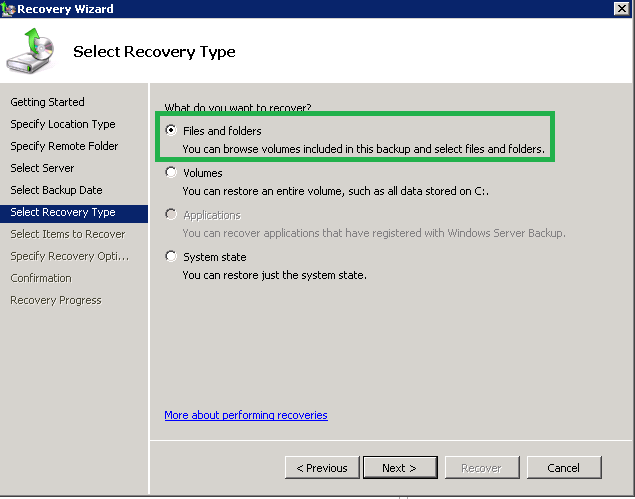 If it’s not installed please follow this guide. 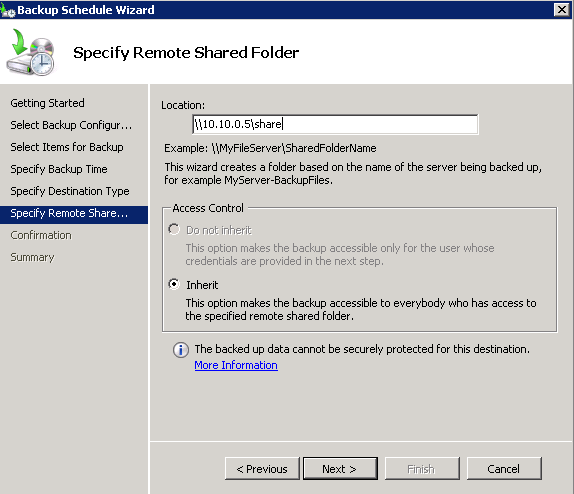 Open up the Server Manager and click on Add Features and Run the Add Features Wizard to add the Windows Server Backup. 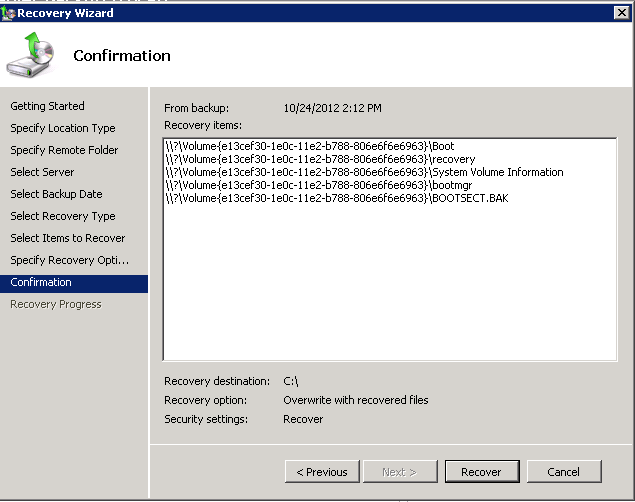 You will see this page when the Add Features Wizard has been successfully completed. 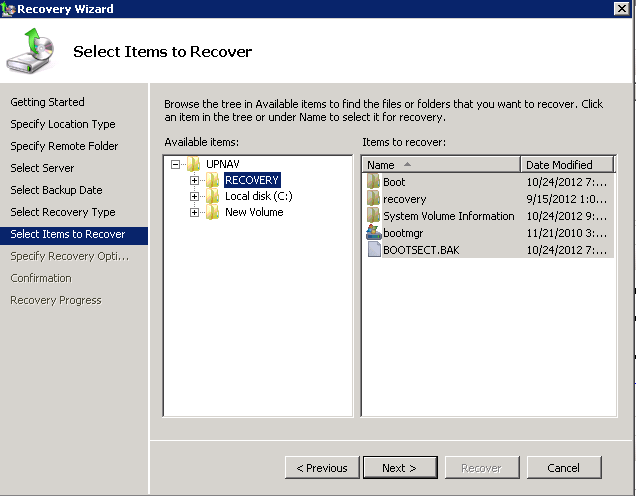 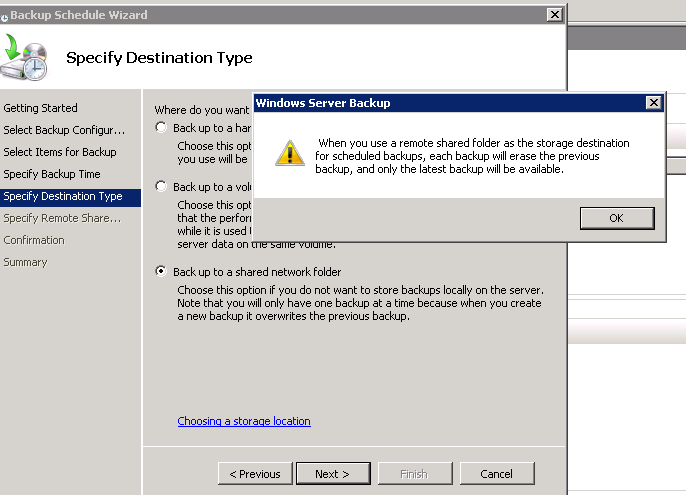 Open up the Windows Server Backup (Click on Start and type backup, click on Windows Server Backup on the top). 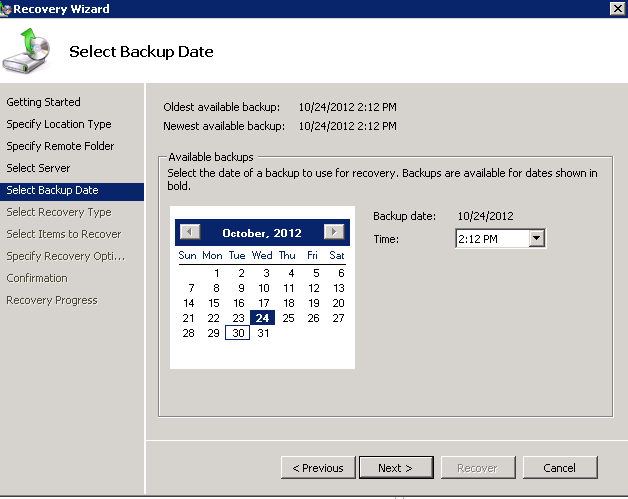 Select the Backup Schedule on the right navigation pane. 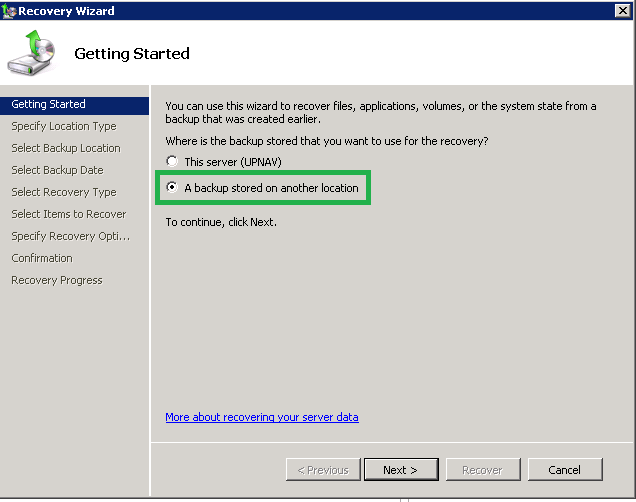 In the Getting Started page, click on Next to continue. 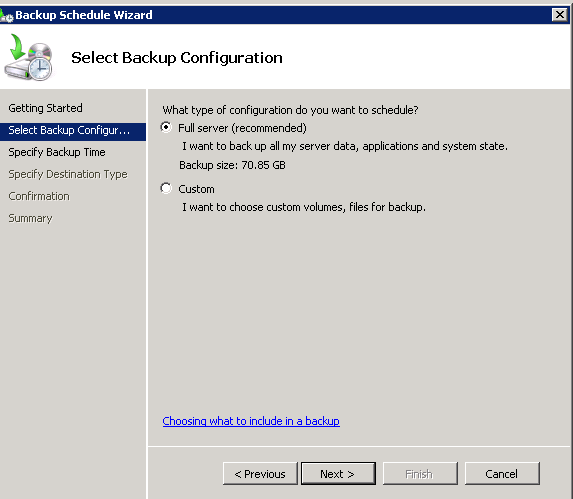 In the Select Backup Configuration page, you may either select Full Server (recommended) or Custom, click on Next to continue. 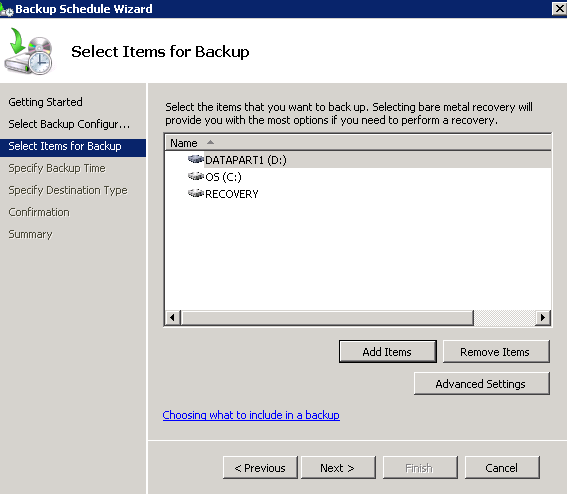 In the Select Items for Backup page, you may select what you want to backup, click on Next to continue. 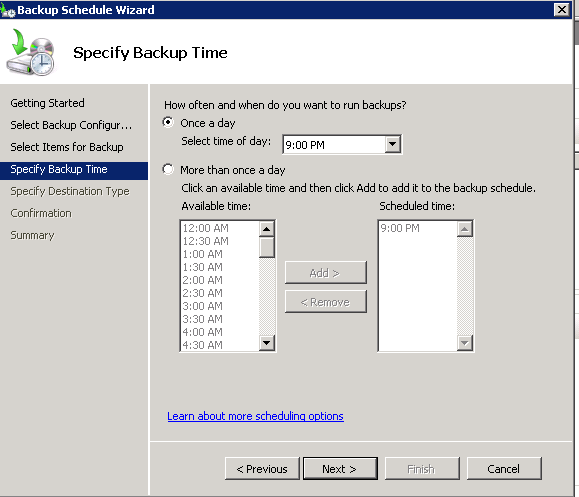 In the Specify Backup Time page, choose the appropriate backup – how often and what time you want your backup to start, click on Next to continue. 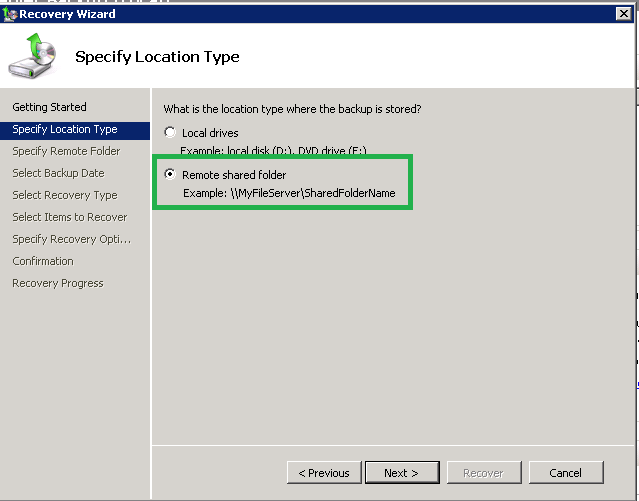 In the Specify the Destination Type page, choose the location where you want to store your backup, click on Next to continue. 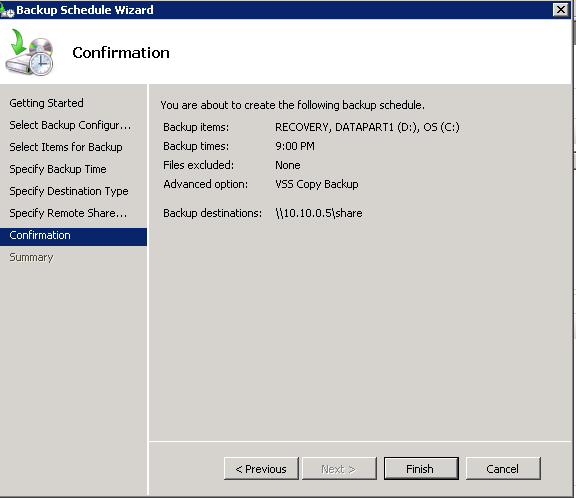 You may choose a remote backup and opt out to back up to an external hard drive, we will use a Network Attached Storage (NAS) device in this Tutorial, click on Next to continue. 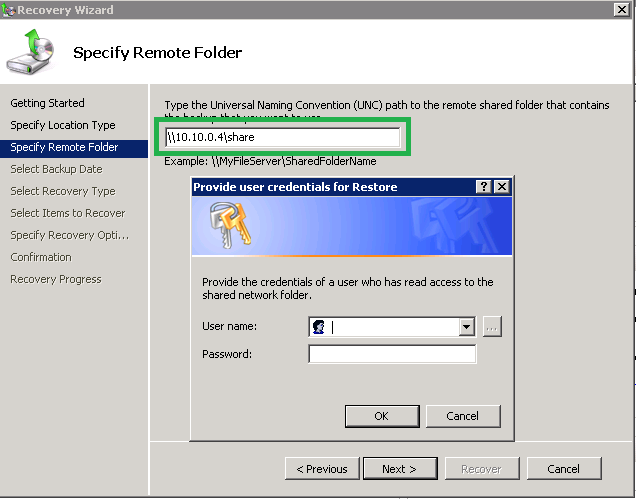 In the Specify Remote Shared Folder page, type the location of the NAS, click on Next to continue. 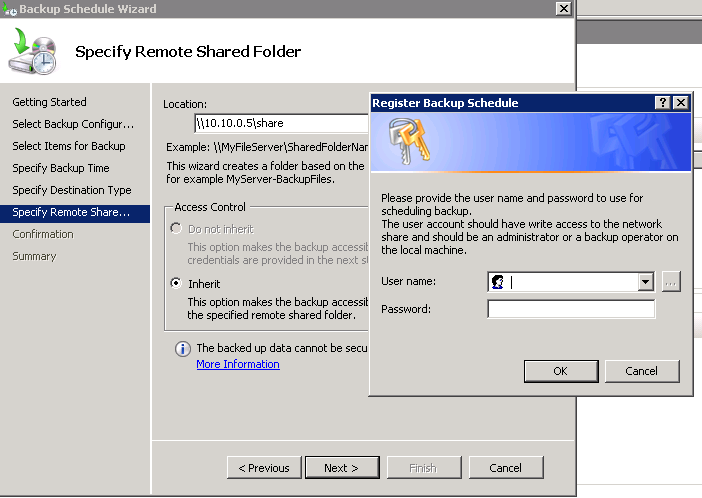 You will have to provide the User Name and Password of the NAS or the remote backup location, click on Next to continue. 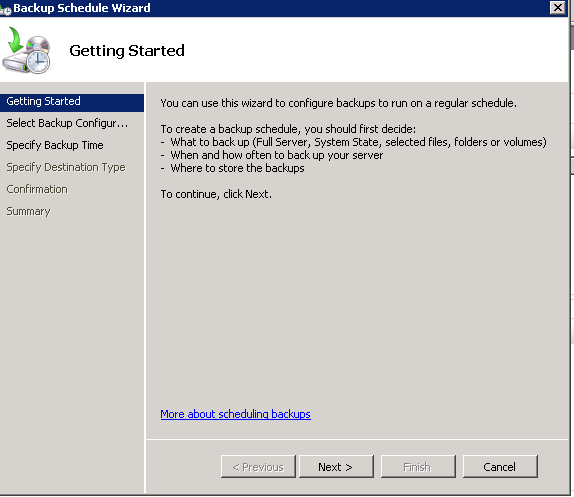 In the Confirmation page, click on Finish to conclude the backup wizard.